The Youth Forum in Skopje, “Representation of Minorities in the New Media in Central and Eastern Europe” will take place on 3rd and 4th of March, and will make the venue where 50 young people from the countries of Central and Eastern Europe will participate and discuss on key questions related to minorities and new media, with the aim to discover how does new media in this region portray minorities and to what extent they can contribute to the promotion of diversity. The forum is being hosted and organized by the Association for Education Mladiinfo International, and supported by the programmes of Europe for Citizens and the Central European Initiative. The opening of the Forum will take place on the 3rd of March, 2016 (Thursday) at 10:00 am, in Hotel Continental Skopje. 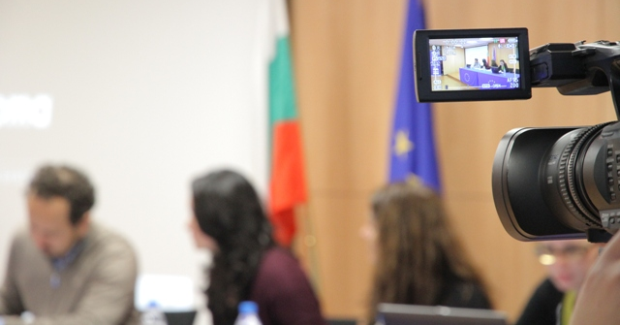 In addition, the Youth Forum will include a presentation on the results of the regional monitoring that was conducted in 12 new media in Bulgaria, Greece, Croatia and Macedonia, which examined the ways new media represent the ethnic minorities, migrants, asylum seekers, LGBT, as well as people with disabilities. The analysis of new media is first of its kind in the region, and as such will provide individual, as well as comparative results regarding the quality of the new media products in this region. Panel on Ethnic Minorities and Diversity: Youth as Ambassadors of Tolerance: Overcoming Prejudices and Creating a Multiethnic Mosaic. At the end of the forum 10 recommendations for better media representation of minorities will be provided, along with advises on promoting diversity. You can also visit the official webpage of the project.